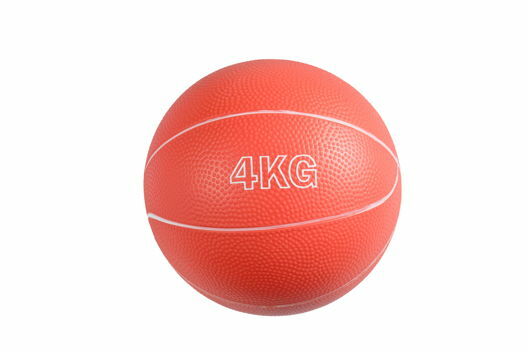 An exercise ball, also known as a Swiss Ball, is a ball constructed of soft elastic with a diameter of approximately 35 to 85 centimeters (14 to 34 inches) and filled with air. The air pressure is changed by removing a valve stem and either filling with air or letting the ball deflate. It is most often used in physical therapy, athletic training and exercise. It can also be used for weight training. 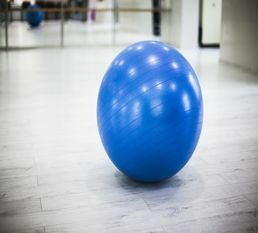 The ball, while often referred to as a Swiss ball, is also known by a number of different names, including balance ball, birth ball, body ball, ball, fitness ball, gym ball, gymnastic ball, physioball, pilates ball, Pezzi ball, sports ball, stability ball, Swedish ball, therapy ball, or yoga ball. 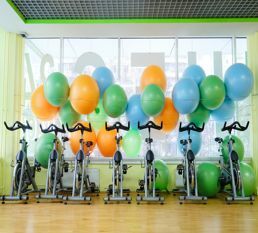 A primary benefit of exercising with an exercise ball as opposed to exercising directly on a hard flat surface is that the body responds to the instability of the ball to remain balanced, engaging many more muscles. Those muscles become stronger over time to keep balance. Most frequently, the core body muscles the abdominal muscles and back muscles are the focus of exercise ball fitness programs. Next to exercise balls we also offer toning balls made of PVC and filled with sand, massage gym ball, and many other exercise balls. All products are custom made according to the customer’s requirement. Please give us clear specifications on your required exercise balls. G.F.F. is the outsourced sales department of the world's most reknown network of star fitness manufacturers. 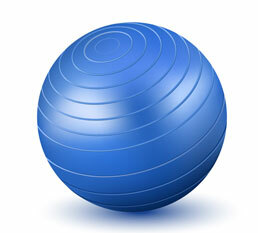 Together with our strong network of partner factories, we produce over 60% of the world's exercise and gym balls. Factories can generally only produce a handfull of products, this is why the factory of the future is connected to all other factories of the same product segment. To offer all of the world's best fitness products to our customers we have built a network of the world's leading fitness factories. Strong product knowledge, long partnerships with most other factories of the fitness segment, skilled outsourcing and pooling of specific tasks, as well as further combinations of working with a global network of fitness factory partners allow us to supply our customers' with the world's best fitness equipment, with the newest technologies, and everything at the market's lowest price. This makes G.F.F. the global one stop production platform within the fitness segment. how to reach the best production price? Be as clear, detailed and absolute as possible when ordering from factories! Ever wondered how the world's best fitness brands produce the highest quality at a fairly cheap price? It's simple: Factories calculate the production price based on the customer's preferences. If a customer is not very clear on his requirements, the production is very hard to plan. Uncertainty drives factories to increase the production price offers. The increase in price is based on the hours spent on consulting the customer about different possibilities, changes during the ordering process and to have a safety buffer in case the customer is asking for certain specification changes which make the production more expensive. in short: uncertainty drives up factories' price offers! Top brands receive top price offers by submiting a clear, absolute, fixed, detailed, structured and easy to read PDF describing and summarizing all necessary product specifications.